B&B Modular is proud to be certified in the Massachusetts Manufactured Buildings Program. We build our modular houses in our weatherproof workshop and then ship them in sections to the build site, where they are professionally assembled and installed. Modular homes are not constrained by shape or size. It’s hard to tell the difference between modular homes and “stick-built homes” (built using traditional construction). Modular homes are inspected in the factory throughout the building process, and then again after they’re installed in place. More efficient building process: when modular homes are built in multiples of the same design, builders complete projects better and faster. Builders have quick access to all jigs, tools in an organized workshop rather than transporting tools to the build site. B&B is happy to create an original design for your modular home. 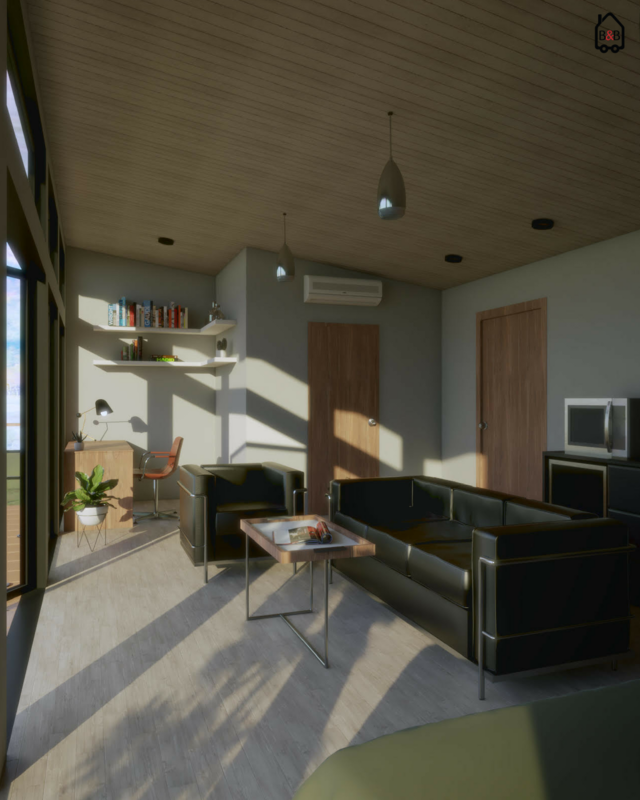 If you’d like to save money or you don’t want to wait for the custom design process, we can also build another designer’s existing modular home plans as long as the customer purchases the rights to do so. 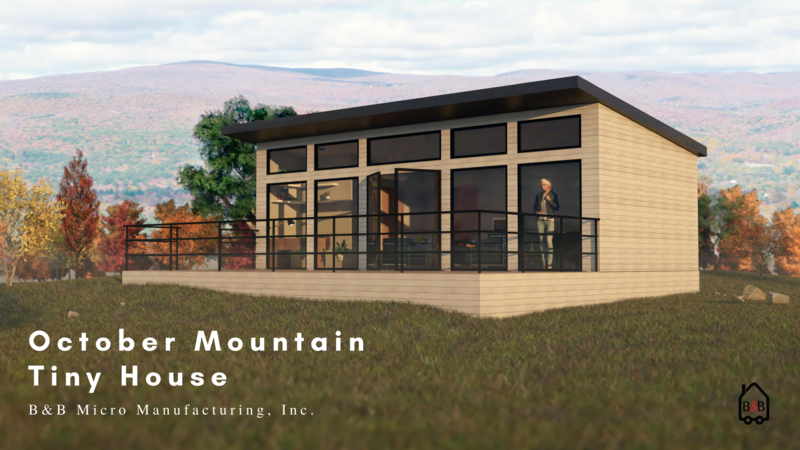 Designs for custom modular homes and buildings start at $4000. We’ll schedule a preliminary design session with you and our design team, where you’ll describe the type of home you’re looking for. Inspiration photos and hand-drawn sketches are helpful! 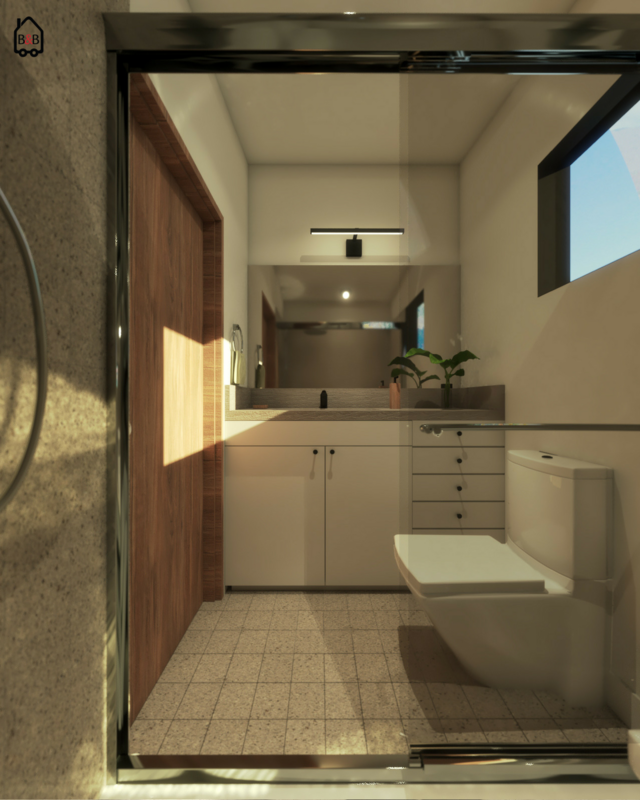 When our design team has a good sense of what you’re looking for, we’ll send you a quote for your design and an initial rough estimate for your build depending on the complexity of the building and your choices for materials and appliances. The design time for a custom modular home depends on the individual’s desires for their house. After you’re happy with the design, we’ll send you a more accurate quote for the build. The modular approval process can take as little as 2 weeks after that, depending on the state and municipality where the house will be. The customer is responsible for procuring build permits in their own municipality. The build time for modular houses varies depending on the complexity of the design of the house. After the house is built and inspected in our shop, it’ll be shipped to your property, where it will be professionally installed and inspected, and ready to move in. 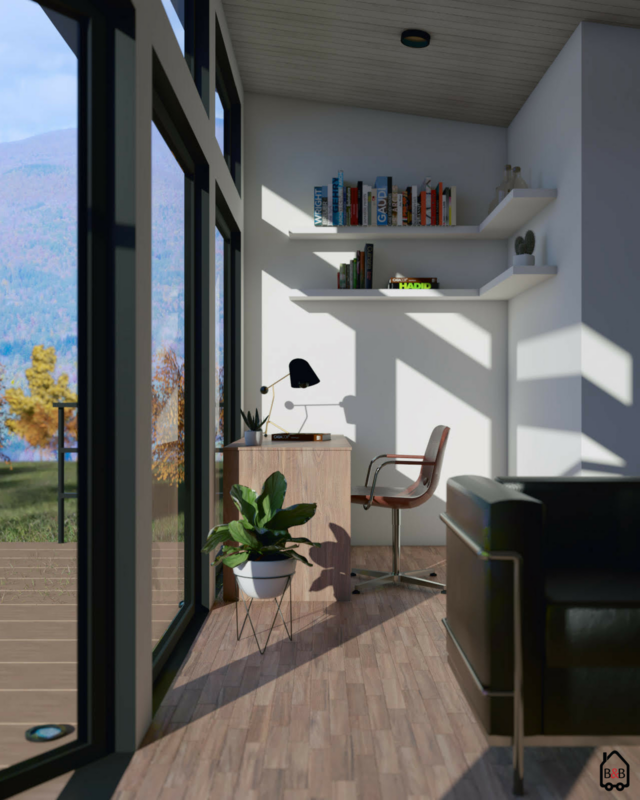 B&B Modular is currently taking preorders for modular homes. Please contact us and we’ll let you know when we have openings in our design and build calendar to get your project started. 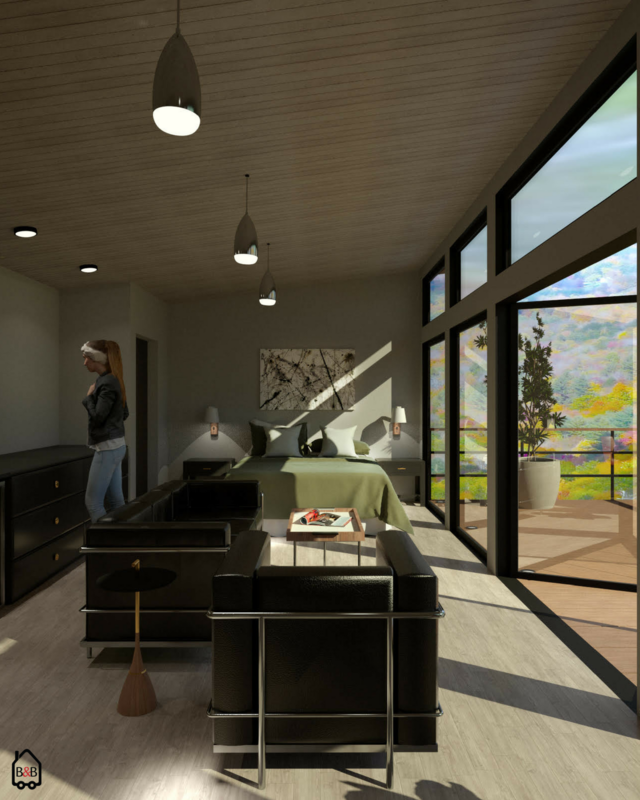 Interested in learning when B&B Modular Homes will become available? Get on our email list.